Which Robotech side story would tu most want to see filmed? 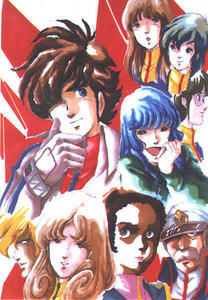 la elección de los fans: Global Civil War prior to the Macross Island incident. Based upon their army & technology, in which Military Force would tu enlist? la elección de los fans: The Robotech Defense Force. What mecha from Robotech, would tu want as tu own personal machine? la elección de los fans: Veritech Jets. la elección de los fans: Rifleman. Maguire, across his company Maguire Entertainment, it will be initially producer of the tape, which rights were bought por Warner Bros.
Maguire not only would occupy producer's cargo in the movie. since also his idea would be to be the protagonist of the movie version of this classic, The script for the big screen will be written por Craig Zahler. In the año 2009 A.D. Earth is attacked por an armada of giant aliens called the Zentraedi. Can humanity take back their planet? PLAYLIST Uploaded por MANGAentertainment. The ENTIRE season. A new generation has been called into battle. They face the Robotech Masters, who come to Earth for their Protoculture Factory. PLAYLIST Uploaded por MANGAentertainment. The ENTIRE season. The Earth is invaded por a race of aliens calling themselves the Invid. Can humanity take back their planet? PLAYLIST Uploaded por MANGAentertainment. The ENTIRE season. a comment was made to the fan art: registrarse the Southern Cross: They Hold the Line! How many episodes does Macross Saga have?